Hybrid: Forced Vengeance ($0.99) by Greg Ballan: Threats against the life of the French President’s daughter by terrorists resulted in Knight being assigned to protect her. He discovers the threats originated in Washington DC. The CIA Cooler digs deeper after a connection between the assassination attempts, his deceased wife, & a threat against the entire planet from outside the solar system. Apocalypse Paused Boxed Set 1 (Books 1-4) ($0.99) by Michael Todd & Michael Anderle: Wherever you look, life and death stare you in the face. Born from the fertile imagination of bestselling author Michael Anderle. Read the first four books in the bestselling Apocalypse Paused series at a discounted bundle price! The Return of Light (The Primloc Chronicles Book 1) ($3.99) by Madeline C. C. Harper: After a party in the woods takes a deadly turn, seventeen-year-old Brie Fyre is dragged to Prim-Terra. There, nine powerful families rule the land, each of whom wields a deadly ability and carries a dark secret, in a web of ever-changing alliances. In order to survive this ruthless world, Brie must learn to play the game of life, death, and love. The Woodcutter ($0.99) by Kate Danley: Deep within the Wood, a young woman lies dead. Not a mark on her body. No trace of her murderer. Only her chipped glass slippers hint at her identity. Blending magic, heart-pounding suspense, and a dash of folklore, The Woodcutter is an extraordinary fairytale retelling of Grimm proportions. Marines (Crimson Worlds 1) ($0.99) by Jay Allan: Erik Cain joined the Marines to get off death row. The deal was simple; enlist to fight in space and he would be pardoned for all his crimes. The original Crimson Worlds military sci-fi series by Jay Allan is on sale this week for 99¢/book or free to read in Kindle Unlimited. Dog! 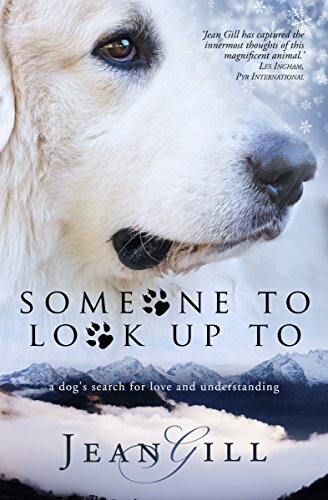 : You’ll Never Look At Your Dog the Same Way Again ($0.99) by Mike Robbins: Bazza is an easy-going college lecturer with a taste for weed. One day he adopts an old dog. He sees nothing odd about the animal; but when a Himalayan monk comes to visit, he knows at once that the dog has walked the earth before. ‘Dog!’ is a tale of a soul in torment, spanning the emotional spectrum from laugh out loud to teary-eyed. The Defector (A Bridge & Sword Series Prequel #0.3) ($0.99) by JC Andrijeski: Hidden away in monk’s caves after he defected from the Rooks, Revik is a shell of the dark warrior he once was. When strange seers ask for his help, his impulse is to say no––until they tell him it is Kali who needs saving, Kali who risked everything for him once. To help her, Revik faces off with his ex-partner, Terian, who clearly holds a grudge.